It was a cold, chaotic, and very frightening evening for some passengers arriving home to Toronto’s Pearson Airport from a trip to sunny Cancun, Mexico on Friday night. 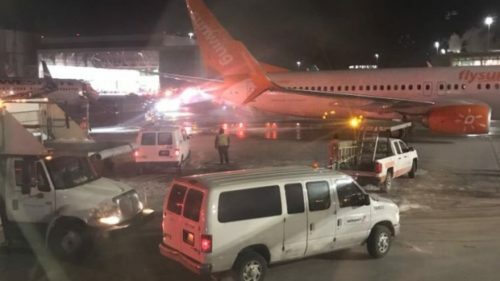 At approximately 6 PM, their jet was sitting on the tarmac awaiting clearance to deplane, when an empty Sunwing jet backed into the WestJet Boeing 737. The collision caused a fire, throwing the passengers into a huge panic. The fire was caused by the collision, which ignited some leaking fuel. People were screaming and crying. 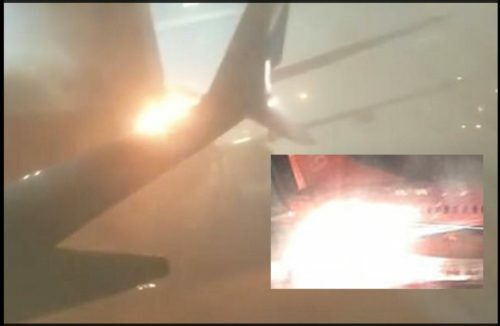 One person could be heard yelling that everyone needed to calm down, and that the fire was on the other plane, not their plane. The emergency slides were deployed in order for the passengers and crew to safely exit the plane. The location of the fire made deplaning through the usual doors unsafe. The night was a cold one as the passengers were escorted into the airport after their ordeal. 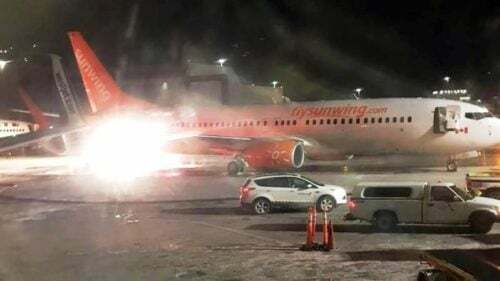 Greater Toronto Airports Authority extinguished a small fire on the Sunwing aircraft and said that some flight operations were affected by the accident. Canada’s Transportation Safety Board is also investigating. From the sunny beaches of Cancun to the frigid airport tarmac of Toronto, the WestJet passengers encountered more than they bargained for. Thankfully everyone is safe. And we will all be waiting to see what occurred to cause such a potentially dangerous incident.